The Miami Dolphins sign tight end Gavin Escobar. He has played in 64 games, with seven starts, and has 30 career receptions. 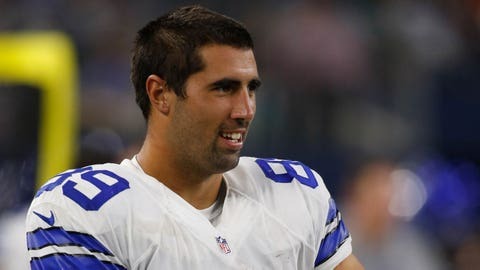 MIAMI (AP) — Tight end Gavin Escobar has signed with the Miami Dolphins, his fifth team in a six-year NFL career. Escobar has played in 64 games, with seven starts, and has 30 career receptions. He played in two games last year for Baltimore, and has also spent time with Dallas, Kansas City and the Cleveland Browns, who cut him last week. He was a second-round draft pick by the Cowboys in 2013.